Cocaine in its various forms is derived from the coca plant which is native to the high mountain ranges of South America. 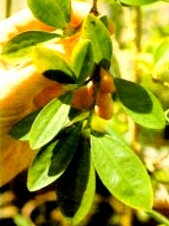 The coca leaves were used by natives of this region and acted upon the user as a stimulant. The stimulating effects of the drug increase breathing which increases oxygen intake. This afforded native laborers of the region the stamina to perform their duties in the thin air at high altitudes. In time science figured out how to maximize the strength and effect of the drug contained in the coca leaves. Through chemically synthesizing the coca leaves the white crystal powder we have come to know as cocaine was created. As time passed newer methods to magnify the euphoric effects of the drug were invented which has led us to the most potent and addictive form of the drug, crack. Crack cocaine is the most popularly used version of cocaine today. Smoking cocaine rocks began in the late 1970’s. Rocking-up cocaine powder and smoking it was originally the method developed so distributors of cocaine could test the purity of the drug before it was purchased from the manufacturers. Crack has destroyed millions of lives since it was first introduced to the streets of America. Crack is a relatively new drug on the scene compared to drugs like opium or heroin; nonetheless, it has been part of our history and culture for nearly 150 years. The first recognized authority and advocate for this drug was world famous psychologist, Sigmund Freud. Early in his career, Freud broadly promoted cocaine as a safe and useful tonic that could cure depression and sexual impotence. Cocaine got a further boost in acceptability when in 1886 John Pemberton included cocaine as the main ingredient in his new soft drink, Coca-Cola. It was cocaine’s euphoric and energizing effects on the consumer that was mostly responsible for skyrocketing Coca-Cola into its place as the most popular soft drink in history. From the 1850’s to the early 1900’s, cocaine and opium laced elixirs, tonics and wines were broadly used by people of all social classes. This is a fact that is for the most part hidden in American history. The truth is that at this time there was a large drug culture affecting a broad sector of American society. Other famous people that promoted the “miraculous” effects of cocaine elixirs were Thomas Edison and actress Sarah Bernhart. Because there were no restrictions placed on acquiring these drugs in the early 1900’s, narcotics were an acceptable way of life for a large number of people, many of whom were people of stature. Cocaine was a main stay in the silent film industry. The pro-drug messages coming out of Hollywood at this time were receiving international attention which influenced the attitudes of millions of people about cocaine. As a rule, famous people are role models that can and do influence the masses. Star power has proven time and again to be the most potent form of advertising. Think about it: The worlds most famous psychologist; the man that invented the light bulb; a stable of Hollywood silent film stars; and the inventor or the most popular soft drink in history – all on the pro-cocaine band wagon. All promoting the drug’s positive effects. Some did it through personal testimonials that ran in printed pages across the nation. Others (in particular the silent film stars) promoted cocaine’s acceptability through the examples they set by their well publicized life styles. 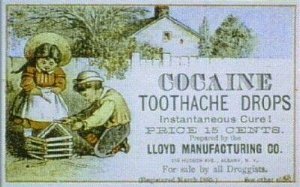 In the same way as other narcotics like opium and heroin during this time, cocaine also began to be used as an active ingredient in a variety of “cure all” tonics and beverages. In many of the tonics that drug companies were producing at this time, cocaine would be mixed with opiates and administered freely to old and young alike. It wasn’t until some years later that the dangers of these drugs became apparent. In fact, it was the negative side effects of habitual cocaine use that was responsible for coining the phrase, “dope fiend”. This terminology came about because of the behavior of a person abusing cocaine for prolonged periods of time. Because cocaine is such a powerful stimulant, prolonged daily use of the drug creates severe sleep deprivation and loss of appetite. A person might go days or sometimes weeks without sleeping or eating properly. The user often experiences psychotic behavior. They hallucinate and become delusionary. Coming down from the drug causes a severe state of depression for the person in withdrawal. This person can then become so desperate for more of the drug that they will do just about anything to get more of it, including murder. If the drug is not readily available, the depression one experiences in withdrawal can become so great the user will sometimes become suicidal. It is because of this heinous effect on the user that the word “fiend” became associated with cocaine addiction. Over the course of the next several years the American majority became more and more aware of the dangers of cocaine. As the severity of this problem became more and more apparent, concern mounted to an eventual public outcry to ban the social use of cocaine. This public pressure forced Pemberton to remove cocaine from Coca Cola in 1903. Eventually the public pressure became so great as to place a national prohibition on cocaine. The country’s legislators took notice, and in 1920 cocaine was added to the list of narcotics to be outlawed by the passing of The Dangerous Drug Act of 1920. Unfortunately, as with the opiates like heroin, the dangers of cocaine abuse were recognized by law makers after the fact. The market for cocaine had already been established and was deeply entrenched into American history and culture and is with us today.